The reviving housing market in the US has shrunk the inventory and given the sellers an upper hand. Does this mean that you can ignore the oldest tricks in the book to sell your home faster? Probably not. To take full advantage of the sellers’ market, you need to follow some rules of thumb which apply in any situation irrespective of the market conditions or economic upheavals. Expert advice – The easiest way to know how much your home is priced is to seek expert help. You should consider consulting with a real estate agent who has some experience of helping people sell/ buy homes in your neighborhood in Palm Beach County. If you need some help, check the Free Home Value Offer. Research – Go to open houses in your neighborhood and see how they are priced. You may be able to come up with an appropriate price for your home depending on its size and location. Additionally, you could study the median price at which homes in your neighborhood were sold in the past six months. Buyers in the real estate world can be divided into several categories, like single male, single female, single mothers, elderly or retired people, single families, married couples and unmarried couples. Buyers from each of these types have different tastes and look for particular facilities in a home. Try to figure out what type of buyers would be most interested in purchasing your home. You can identify the type based on some calculations related to the size of your home, neighborhood, location and proximity with good schools. For example, single mothers would like to live in an area which is safe. The neighborhood should have families with kids and access to quality schools. Make sure that real estate agents in your area know your house is on the market. Send them sales flyers. Use the internet to list your house online. If your budget allows it, you can also consider advertisements in the newspapers. Identify strategic locations in your front yard as well as neighborhood to place signage. In a nutshell, use every marketing trick to make the world know that your home is up for sale. Make sure that the garden in the front yard is in excellent condition. De-clutter your home and remove every unnecessary item, be it furniture or personal belongings. Let the buyer visualize himself and his family living in your home. If it was stuffed with things like memorabilia, family photographs and decorative arts, you would most likely be blocking the buyer’s imagination. You have to follow several standard procedures like writing a purchase contract, escrow services if you chose to put the earnest amount in the custody of a third-party and contingencies including home inspections. If you have a full knowledge about these procedural formalities, you would be in a better position to negotiate wisely and close on your house quickly. For a first time home buyer, following all these rules may prove to be a bit overwhelming, but it is worth the time and efforts. These rules would ensure that you sell your home fast and get the best price for it. Don’t want to try all these things alone? 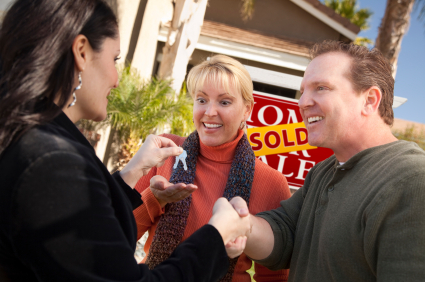 Hire a Real Estate professional that will take care of the process from start to finish. If you go this route, be picky because you deserve to be! Well my son decided to rap a little about his Dad the REALTOR.. fun stuff. Is your golf based on other golfer’s false ideas? Marketing and Hard Work Pay off When Selling Homes! Well, just another example of hard work and marketing paying off. 13 days ago I took on a listing that had sat on the market for 6 months. Today the property is under contract! That’s right, just after 13 days of being associated with the property, we have a contract in place and a closing date set! Keep in mind this property just sat on the market for 6 entire months with little to no action! What did I do to make it happen? Proper marketing, a great company behind me, and simple hard work made it all come together. I just have to put this into perspective. This property sat on the market almost 14 TIMES longer with another company than it has with me. The kicker… I brought the buyer as well! Now I realize that nothing is officially sold until the keys are handed over, but I just had to share the experience. If you are looking to sell your home, please remember to put your best foot forward and always understand what you will be getting for the fees that you are paying. Feel free to contact me with any questions that you may have! Lock In Your Mortgage Rates NOW! Well, well, well. It seems like this economy is finally getting on track! What does that mean? Some can consider it a good thing, others can say its not so good. The good- Stock market steadily “growing” like it is “supposed to”. Home prices are back on the rise (Especially here in South Florida!). Unemployment declining, or so it seems. Everything is peachy, right? The bad- Interest rates for mortgages are rising! If fact according to Mortgage News Daily this past Friday was the highest one-day increase in average mortgage rates in record-keeping history! If you thought that you would “wait for the bottom of the market” to buy your next home, and you haven’t done it yet, you have officially missed the boat! Although prices may not continue to rise like the rocket ship that it has been here in South Florida over the last six months, I do not think interest rates will come down again, unless something crazy happens. The Ugly – Doom-and-Gloomers will continue to think that the financial world is going to fall apart eventually and these people will go and do absolutely nothing about interest rates or home prices. People will continue to think that our economy is falsely inflated and it is just some bubble that is going to pop any minute. Unfortunately, for these people if that happens, they will be hurting right along with everyone else, only they could have missed the opportunity boat completely by being blinded from the black clouds over their heads. What does all this mean? I think that right now the Real Estate market is action packed. In South Florida, it doesn’t seem that enough sellers are around to satisfy the buyer’s hunger for property. Whether it be a foreign investor, flipper, first time home-buyer, or just someone looking to upgrade, this is prime time. Sellers are getting list price or better, and buyers either have the cash, or are taking advantage of the low interest rates. As interest rates rise for mortgages, borrowed money will become more expensive. If real estate prices were to fall, buyers could actually pay more in the long run, than buying a higher priced property NOW with lower interest rates. Just throwing my two cents out there. I am here to help through the entire process. I know what it is like out there. Call me today and I will be your eyes and ears in this ever changing market place!